How to keep the camera settings in the M7RSS while upgrading to a new version? 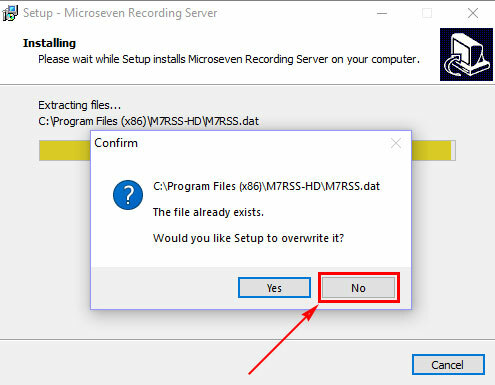 While you install the new version M7RSS, a popup window asks “Would you like Setup to overwrite it?”. You will click on “No” to keep the existed camera settings information.